We are seeking a full or part-time veterinarian for our growing, family oriented mobile practice in Clermont, Florida just northwest of Orlando. Our practice is focused on providing convenient, high quality medical care for pet owners and a comfortable experience for pets. We help clients who may have difficulty utilizing traditional veterinary services, have anxious pets, or who simply appreciate the convenience that a mobile service provides. We offer an extensive array of veterinary services including standard preventative care such as annual wellness exams, lab work, and vaccines, senior care, dermatology workups, as well as laser therapy, cryosurgery, blood pressure monitoring, and tonometry. We will manage most conditions that do not require emergent care, hospitalization, or anesthesia. We operate based around the principle that everyone deserves access to exceptional veterinary care, and consequently offer an extensive array of services to those who may be unable to travel to a bricks and mortar practice.The demand for individualized mobile care is increasing rapidly, and so is our base of clientele. We are excited to be offering an opportunity for qualified candidates to join this exciting field, and our caring, family oriented practice. We are always looking to the future and welcome innovation and new ideas.At Mobile Vet to Pet, we encourage our associates to maintain a healthy work/life balance. This position will allow you the unique opportunity to utilize most of the medical expertise necessary for care in a standard clinic without emergency work or on call hours.Our full-time associate will work an average of 4.5 days a week (9 days every 2 weeks) and receive a competitive salary with benefits package including: paid vacation and holidays, CE allowance, and health insurance stipend. If you are planning to relocate, Clermont is a great place to live. We are less than 60 minutes from the beach on either coast, and 30 minutes from Disney, Universal, and Sea World. We have excellent schools, extensive parks and trails, and a large athletic presence. Clermont is known as the City of Champions due to the amount of athletic events that take place here. Clermont is a thriving, contemporary city set within rolling hills. Here you will find a warm sense of community and an active, welcoming place to call home. Please visit us on Facebook at Mobile Vet to Pet-Florida to learn more. We look forward to hearing from you. Please email for more information, if needed. "I am so glad this service is available. I have a shih tzu and a rat terrier and Dr. Sheahan and Jen were wonderful with both of them. Thank you.!" We schedule appointments Sunday through Friday 9am to 5pm. Flexible hours and Sunday appointments also available. 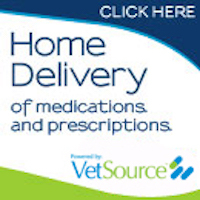 Experience loving vet care in the comfort of your home!